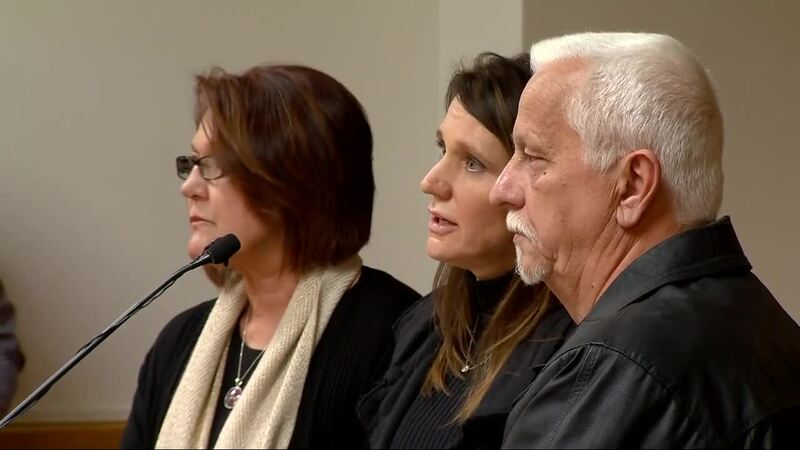 Cindy and Ronnie Watts, the parents of Chris Watts, spoke at his sentencing hearing, telling their son they forgive him and will always love him. GREELEY, Colo. – Chris Watts’ parents told their son Monday they accepted that he had murdered his pregnant wife and two daughters and said they hoped he would give a full confession and take responsibility in due time for the killings that upended multiple families. Ronnie and Cindy Watts were given the opportunity to provide victim impact statements at their son’s sentencing hearing Monday in a Weld County courtroom because they are the grandparents of Bella and Celeste, Watts’ two young daughters whom he killed along with his wife Shanann in August. The two initially addressed the court and their son as a couple through a representative, though Cindy Watts also spoke individually, and Ronnie Watts spoke individually through the representative as well. Through the representative, the Wattses thanked prosecutors and the court for affording them the opportunity to speak at the hearing. Through their representative, Cindy and Ronnie Watts also said that they were “not intending to cause pain to anyone” when they spoke to media, including Denver7 , last week and claimed at the time that their son may have been pressured into accepting the plea deal. “They were misinformed,” the representative stated, adding that the couple accepted that Chris had committed the murders and chose to plead guilty to the nine charges he originally faced. The couple, through their representative, acknowledged that they still had questions about how their son could commit such crimes. “We hope that he embraces that moment,” the representative said, adding that had the death penalty been pursued, Chris Watts might never have had the opportunity to be held accountable. Individually, both Cindy and Ronnie spoke directly to their son, though he gazed emotionally at the table in front of him throughout the hearing. She told her son directly that he had been a good friend, brother, father and son and that she still loved him and forgave him. Ronnie Watts appealed to Chris to be forthcoming in the months ahead with him. “We still don’t have all the answers and I hope one day you can help us,” he told his son. But he, like his wife, said he would be there for his son. After the two spoke, 19th Judicial District Attorney Michael Rourke told the court of new details in the case that had not been publicly released before in attempting to show the court how Watts, 33, “totally and deliberately ended four lives” in a calculated manner. “Prison for the remainder of his life is exactly where he belongs for murdering his entire family,” Rourke told the judge before the final sentences were handed down. 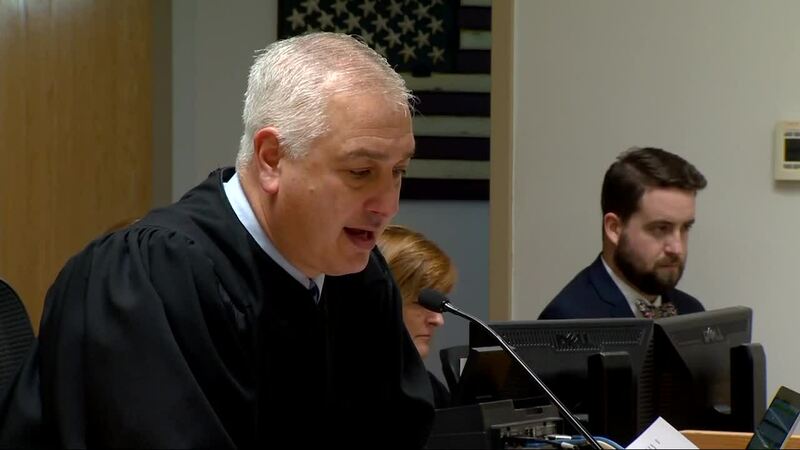 After Rourke spoke, Judge Marcelo Kopcow took the opportunity to go back over the charges and said Watts should face the maximum penalty because it was the worst case he’d seen in his time on the bench. “I’ve been a judicial officer starting my 17th year and could objectively say that this is perhaps the most inhumane and vicious crime that I have handled out of the thousands of cases that I have seen, and nothing less than a maximum sentence would be appropriate,” Kopcow said. Kopcow sentenced Watts to three consecutive life terms in prison without the possibility of parole for the murders of Shanann, Bella and Celeste. Watts also received two more concurrent life terms for two other murder counts relating to Bella and Celeste; a 48-year sentence for the unlawful termination of a pregnancy count that applied to Shanann’s unborn child, Nico, and three more 12-year sentences for three counts of tampering with a deceased human body for moving their bodies after he killed the three, which also run consecutively to the other terms. For more on Monday’s sentencing and the case, click here.